Barishal Range comprisesof 6 districts namely Barishal, Bhola, Jhalokathi, Patuakhali, Pirojpur and Borguna. One Range Reserve Force(RRF) is also there in Barisal. In 1797, Bakerganj district was established. It was renamed as Barisal district later. It is located in the south-central part of Bangladesh having an area of 2790 sq km. Barisal has a reputation for giving birth to accomplished sons of Bengal. Some of these renowned and admired personalities are Sher-e-bangla A. K FazlulHaque, poet Jibonanda Das, Begum Sufia Kamal, Shaheed Captain Mohiuddin Jahangir. Barisal district has 10 police stations. They are Bakerganj, Babuganj, Banaripara, Ujirpur, Gournodi, Agouljhora, Hijla, Muladi, Mehendiganj and Kazirhut. Barisal district police has created quite a reputation for themselves through their unwavering dedication towards law enforcement. Their greatest achievement though came forth during the most trying moment of the country. In 1971, Barisal police responded with great enthusiasm.They not only provided with ammunition from armoury but also proved their patriotism by directly joining the war effort. Riverine Barguna became a district under Barisal division on 28.02.1984, having Patuakhali on the east, Jhalokathi on the north, Pirojpur on the west and the Bay of Bengal on the southern west part of the district. Barguna district police started its journey with a total number of 429 force, forming 5 police stations -- Barguna, Amtoli, Betagi, Bamna and Pathorgata, and a town outpost Sadarfari, two river outposts -- Kakohira, Chondoani and a police line. In 1990, another police station was established at Taltoli, one police outpost was formed at Gazipur under Amtoli PS in 2006. In 2008 another investigation center named Babugonj started functioning under the Sador police station and an outpost named Ranipurbrizerhat under the Betagi police station started to work under district police. Jhalokati, criss crossed by a number of rivers (Bishkhali, Sugondha, Dhansiri, Gabkhan, Jangalia and Bamanda) is a prominent district for its history and excellence in various aspects. The district was known as second kolkata of Bengal during the British era. Jhalokathi having an area of 758 sq km consists of two pourashavas: Jhalokathi Pourasava and Nalchity Pourasava. It is famous for gamcha (bath towel), shitol patty and guava. District police administration comprises of district police HQ, DSB, four thanas, detective branch, police lines, traffic unit, three investigation centres, four temporary camps, a town outpost and other relevant units. The police stations are Jhalokati sadar, Nolsiti, Rajapur and kathalia. Bhola district, having an area of 3403.48 sqkm, is known as the largest offshore island in Bangladesh. Once, it was a sub-division under Noakhali district. It was upgraded to the status of a district in 1984. The district is surrounded by Laxmipur and Barisal district in the North, Bay-of-Bengal in the South, Laxmipur and Noakhali districts, Meghna (lower) river and Shahbazpur Channel in the East, Patuakhali district and Tentulia river in the West. It has 9 police stations: Bhola, Doulatkhan, Tajumaddin, Borhanuddin, Lalmohon, Charfashion, Shashibhushan, Dakshin Ayicha and Monpura. Patuakhali is situated in the south-eastern part of Bangladesh. It was turned into a district from a sub-division of Bakergonj district in 1969. The beautiful sea beach, kuakata from where both sun rise and sun set can be observed, is on the southern part of the district. 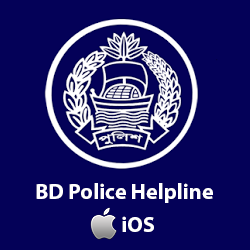 There are eight police stations: Patuakhali, Dumki, Mirzagonj, Bauphal, Dasmina, Golachipa, Kalapara, and Rangabali. They are grouped in two police circles-- Sadar and Kolapara. 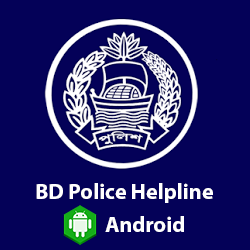 Patuakhali district police played an important role during the liberation war of Bangladesh. A south-western district located in Barisal division, Pirojpur stands on the bank of Damodor river. According to legend, the second son of Shah Shuja, Firoz Shah died in this area and the area became known subsequently as ‘Firozpur’. In time, the punctuation ‘Firozpur’ slowly mutated to ‘Pirojpur’. It was elevated from sub-division of Barisal to the position of a district in 1984. Before that it was a sub-division of Barisal district since 1866. Pirojpur has produced some excellent intellectuals like Kabi Begum Sufia Kamal and Ahsan Habib. Pirojpur district police is divided into two circles; Sadar and Mathbaria circle. Pirojpur Sadar, Nazirpur, Nesarsbad, Kawkhali and Indurkani P.S form the Sadar circle. Mathbaria circle on the other hand is made up of Bhandaria and Mathbaria P.S..In order to ensure coverage of the whole district, the Pirojpur district police is divided itself into seven police stations. 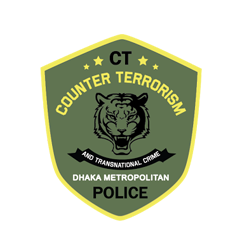 They also have two police faris (one town post, one out post), a police camp, a river out-post, a traffic unit, two court police units (Sadar and Mathbaria), a detective branch, a special branch and a unit of special armed forces. 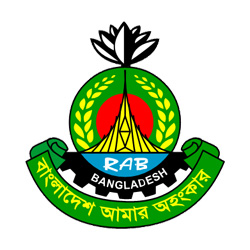 Range Reserve Force (RRF), Barisal started its function in 1993. RRF Barisal has no personal administrative office. The works of the commandants office and administration are going on in Technical Training Centre’s (TTC) building. RRF police personnels are presently working in 18 camps under 6 districts of the range.